Seasoned RBA Watchers always look forward to speeches by Luci Ellis. Although solid as rock when it comes to preserving the sacred myths and fables of modern neoliberal era central banking, there is often a touch of punk – a streak of violet hair – through the otherwise formulaic central banker monotone that seeks to encourage listeners to just “move along …nothing to see” and leave the grown up business of the economy to those that know best. A Glass Pyramid favourite flash of ‘punk’ was Luci’s distillation of a new economic sensation “The Platypus Moment” back in 2011. The Platypus Moment is on a par with the legal principle coined by The Castle known as the ‘vibe’. The vibe has now become a term of art in many technical fields from neurosurgery to rocket science. While the Platypus Moment is not quite so famous, the staff canteen at the Glass Pyramid is a known haunt of those delicate creatures who can detect a Platypus Moment as surely as a Jedi might detect a ripple in the force. Interestingly enough speeches by senior RBA staff have become in recent years a very rich source of Platypus Moment experiences for those who know how to ‘feel’ them. The looks of disbelief as they read yet another emission from Martin Place is the giveaway. For those new to RBA Watch and not inclined to click links to the motherload that is the collected works of the RBA “Punter Whisperers” here are the key elements of a Platypus Moment as distilled by Luci Ellis back in 2011. So why would a Central Banker promote something as nebulous as a Platypus Moment? The answer is that it frees a Central Banker from the horrors of accountability and external review. You see, indicators, ratios, rules, measures etc are for chumps compared to a Central Banker deploying Platypus sensibilities. “……These examples show the value of having flexible, principles-based regulatory frameworks, not a legalistic set of rules that encourage a box-ticking frame of mind. If the regulators are focused only on compliance with existing rules, they will always be playing catch-up to a fast-moving industry. 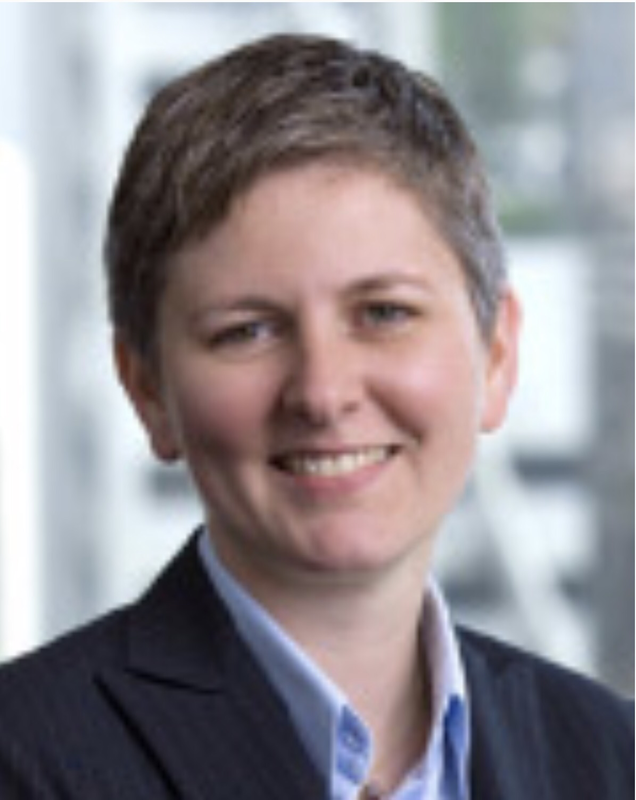 I am glad to say that narrow, box-ticking cultures are not what we see in the Australian regulators….”. As to how anyone can tell, without rules, indicators, ticked boxes etc, whether our regulators are “playing catch-up to a fast-moving industry” or have been thoroughly captured or lost way back down the road in the fumes of banker bonuses well spent, is not explained. But then with the taxpayer ready to bail out both the private “money” industry and its monotreme sniffing regulators how will we ever know? So what has Luci been up to this week? Soothing the crowd at the Australasian Housing Researchers Conference – which this year reckons “Housing and Inequality” might be of interest to a country leading the pack in household debt and bloated housing asset prices. Hold that thought conventioneers, as Luci is not one to concede flaws in our housing / household debt market lightly. It did not take long for Luci to set the ‘lab coated’ researchers straight that they should relax and enjoy the ride as housing data is just a bunch of numbers that could mean anything and she was here to lead the audience through the valley. In other words, forget your whiney ‘data points’ as they only mean something if a wise all knowing Central Banker says so. No sign of a Platypus so just be cool folks. However, some of the’data points’ canvassed in the speech were of interest even while they were fluffed, folded and buried in clouds of dust and uncertainty by Luci. Does Australia have record prices? Nope, according Luci they are ‘middle of the pack’ using an ‘average price to average household disposable income’ ratio. 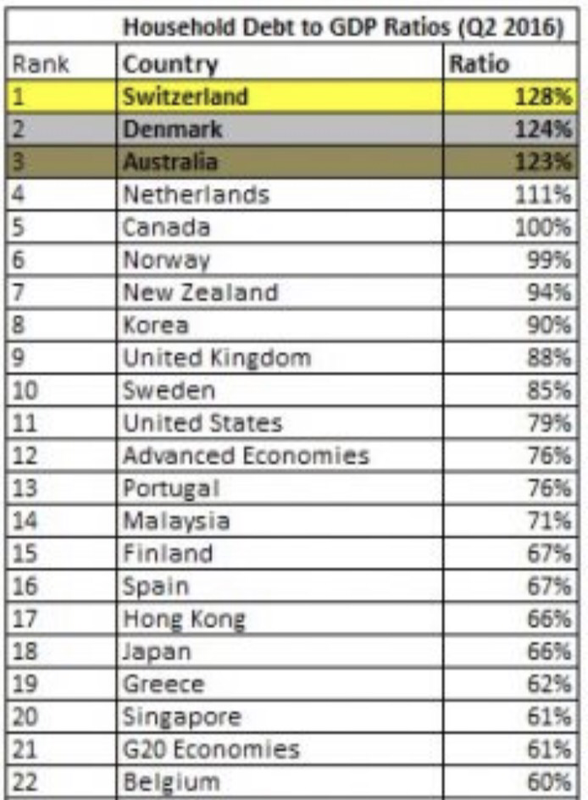 Other ratios are not nearly so comforting and Australia’s household debt to GDP ratio may not be ‘middle of the pack’ at 123% – but lets not dwell on such things. Is Luci just cherry picking? Maybe, she does slip in a quick reference to median house prices without spelling out what that ‘single metric’ revealed before dismissing it. Very expensive Australian housing according to some. Why are house prices so often cheaper in the US? According to Luci it is because they live in smaller cities with lower priced housing. Presumably, that fact is not relevant to a continent sized country with only 23 million people. Note: See the comment by Gareth Brown below who points out that Luci’s assumption about ‘differences’ between the US and Australia that allow her to ‘explain away’ high Australian prices is simply wrong. Could Australian home ownership rates be higher? Don’t fret says Luci, nothing to worry about. Mediocrity has never sounded so thrilling. Are household debt levels too high? That’s fine too according Luci because speculating on house prices with debt is a rich man’s past time. Which is kinda the inequality point in a nutshell Luci. Fewer young people owning their home? According to Luci, they are just new traditionalists who prefer to stay home, avoiding home ownership, while courting their future brides. Are home buyers finding it hard to put together a deposit? Luci concedes the bank of mum and dad seems to have opened a few new branches but again she claims the data is indistinct and ‘remains low’. For some, any increase in 3rd parties helping with deposits might be a chirping canary in a coal mine but not for Luci. “….Careful analysis of the HILDA Survey dataset shows that the share of first home buyers receiving that help has been increasing over the decades, but it actually remains low. Does renting rather than owning result in renters having to move more often? Yes, Luci concedes but she reckons giving renters better tenure is a better option than allowing them to actually own their home. If we are concerned about inequality of housing outcomes, perhaps we should focus less on the type of tenure, and more on security of tenure. One wonders if a big hairy Platypus marched into the conference at that point and started kicking around chairs…….and no one saw a thing. Data points, research, stats are no match for a Central Banker with a highly refined feel for a Platypus Moment. Australian Housing: Foreign buyers running amok? There are two modern models of land ownership and development in the western world : the British model and the German model. The British Model is based around serfdom, restricting land ownership, forcing the population into industrial and port cities to extract their labour and economic rents for the land they need to occupy to avail themselves to economic opportunity. This concentration creates monopolies and oligopolies, and giant companies with pricing power over labour. The German Model is based on transport infrastructure, primarily rail and road networks, which disperses the population across the country diversifying the industrial base into a network of interconnected suppliers (Mittelstand). Berlin metro population is 6 million, London’s is 13.6. These two models result in very different housing markets, and very different government philosophies on how to manage them. The U.S. largely follows the German Model. There is a vast rail and highway network that connects the US industrial base, and a vast and efficient air network to move people around for business. The glaring exception to this is New York, and it is not surprising that New York, and it’s parasitical class, is the source of all American asset bubbles. Australia follows the British Model. Restrictive land use policy forces the population into coastal cities. Sydney holds 18% of the Australian population, Melbourne holds 16%, while cities like Los Angeles and New York, despite their huge populations, each only hold 6% of the US population. Which means that 12% of the U.S. population live in it’s two largest cities, while 34% of the Australian population live in ours. So it’s true that Americans, as a percentage of the population, live in smaller cities than Australians. It is also true that this is deliberate policy on behalf of both country’s governments. It also means that the U.S. recovers much faster from bursting bubbles than countries that follow the British model. People move to another city, where the salaries are lower, but so is the cost of living. Australians have no such options. The countryside is a corpse of employment, deliberately so by government hand. They are stuck in cities, and must ride out economic downturns until credit washes through the system via inflation. Unfortunately for us, this time inflation is also dead. The correct impression I gain from your above efforts is that of one struggling to actually find something meaningful to write about. There are so many many many more topics of actual benefit to explore and share …. this was a waste of time to read. Notwithstanding your unhappy experience and mispent minutes it was thoughtful of you (Skippy) to find the time for a drive by (comment). Well Graham is a bit like Skippy in that regard. Lots of care to spare. Wonder if she knows her claims are completely opposite to that of her ultimate boss? Nice work! I now recall reading a discussion of that at the time – I forgot about it when tapping away last night. I will include a note about it in the post.